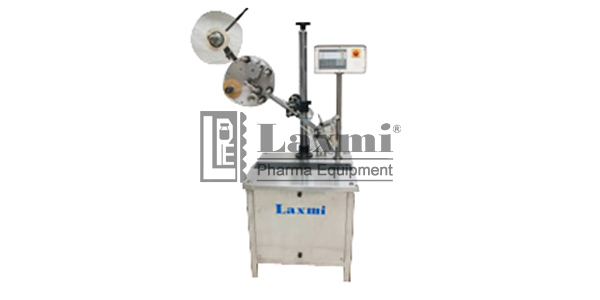 Laxmi Pharma Equipment offers Automatic High Speed Hologram Sticker Labeling Machine Model: LHL 300, user friendly, Vertical Linear Sticker Labeling machine suitable for applying Hologram Sticker Labels on Various types of Label and Film Roll used in Packaging Industries which are previously filled and sealed. . As the machine is servo motor operated, a customer has an added advantage to run the machine with a minimum required output to maximum of 300 Hologram per minute but depending upon the Label Size and Quality. Label release & fixing mechanism to release the label. In feed & out feed of products which is to be labeled can be feed by manually or from any product transmission system. Label dispensing unit with vertical and horizontal adjustable mechanism. Supply: 230 Volt Ac / 50 Hz. No change parts are required for change over of container size. Synchronized speed of Label Dispensing, Conveyor and Pressing DeviceSelf protected against any voltage fluctuations. Different types of coding devices are available for over-imprinting as per customer requirement, which prints messages such as Mfg. Lic. No., Batch No. , Mfg. Date, Exp. Date, Price etc.